A 5000 square foot Western martial arts and fitness training center is currently under construction on the border of Chicago’s Ravenswood and Buena Park neighbourhoods. Patterned after a circa 1900 physical culture studio, it features high timber ceiling, a hardwood floor and brick walls, which will be decorated with large historical prints featuring swordsmen and combat athletes in training. The new gym will include my collection of antique physical culture apparatus, including Indian clubs, medicine balls, iron dumbbells, an 1880s rowing machine and wall-mounted weightlifting machine, pull-up bar and climbing ropes, forming a “gymuseum” for old-school physical culture training. Functional replicas of other classic training equipment and a Western martial arts store may be added in the future. The complex will also include an upstairs library/meeting/lounge area reminiscent of a Victorian era private gentlemen’s club, with comfortable chairs and couches, a gallery of antique antagonistics images and books on all manner of Western martial arts and related topics. Basically, it will be an athletic club in the traditional sense, a place to socialise, relax and learn as well as to train. There will also be a full program of special-interest public seminars and intensive courses, starting with a Bartitsu seminar scheduled for January 22nd. The seminar will roll through immediately into a progressive, experimental course of 12 introductory Bartitsu classes over the following six weeks, between 6.30 and 8.00 pm each Tuesday and Thursday evening. All going according to plan, the new school will have a web presence from early January. 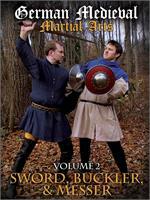 Historical Swordsmanship and the Manly Arts are afoot in the Windy City! The Game is Afoot…Bartitsu alive and well in new Sherlock Holmes: A Game of Shadows! When I reached the end I stood at bay. He drew no weapon, but he rushed at me and threw his long arms around me. He knew that his own game was up, and was only anxious to revenge himself upon me. We tottered together upon the brink of the fall. I have some knowledge, however, of baritsu, or the Japanese system of wrestling, which has more than once been very useful to me. I slipped through his grip, and he with a horrible scream kicked madly for a few seconds and clawed the air with both his hands. But for all his efforts he could not get his balance, and over he went. With my face over the brink I saw him fall for a long way. Then he struck a rock, bounced off, and splashed into the water. Several years ago, director Guy Ritchie and actor Robert Downey, Jr. re-conceptualized the Great Detective as a Steampunk sleuth and man of action. Doyle fans have been divided on the interpretation, but one thing is certain, as martial artists themselves, Ritchie and Downey have given Holmes his fighting chops! Bartitsu, or “baritsu”, as Doyle penned it, gets screen time (seemingly faithfully) in the new Sherlock Holmes: A Game of Shadows, as can be seen in the teaser clip on YouTube . One you’ve seen the Silver Screen depiction of “baritsu”, you may wish to find out more about the truth behind the fiction. 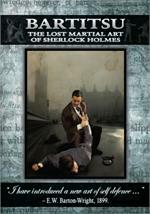 In conjunction with the film’s American release this week, we are featuring Bartitsu: the Lost Martial Art of Sherlock Holmes, at 30% off of its regular price. A unique documentary relating the fascinating history, rediscovery and revival of Barton-Wright’s pioneering mixed martial art, this is a great present for martial artists, Holmes enthusiasts, or lovers of Victorian and Edwardian England. Finally, if you are reading this blog, but somehow still don’t know what Bartitsu is, this interview with our colleague, Tony Wolf, ought to set things aright!